Not too long ago I was at a barbecue with some friends and we fell into a conversation about good places to eat pho (pronounced “fuh” – click to listen), a delicious Vietnamese soup full of delicious broth, noodles, and meat. My friends started naming Vietnamese places in Rhode Island and simultaneously crossing them off the list as not having a decent bowl of pho. In fact, the conclusion was that there really isn’t anywhere in RI to find a good bowl of pho. That conclusion started to change as the discussion headed geographically north towards Boston, MA. 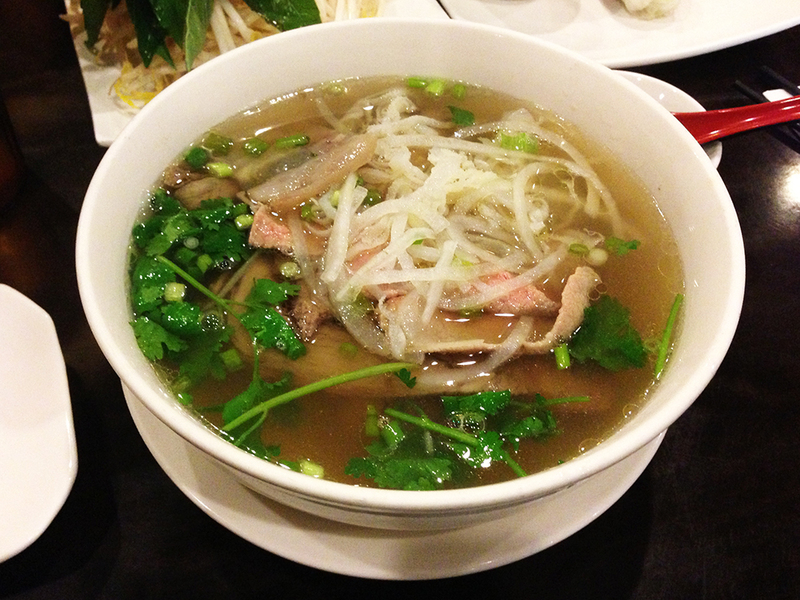 It seem that the best pho we’ve had locally comes from the Dorchester and Boston areas. I’ve been to Pho Countryside in Quincy, MA numerous times because it does stick to the same rule of thumb that the closer to Dorchester and Boston you get, the better the pho! The completely renovated restaurant looks great inside with modern as well as traditional decorations. The previous restaurant was busy on occasion, but the cleanliness started becoming questionable. 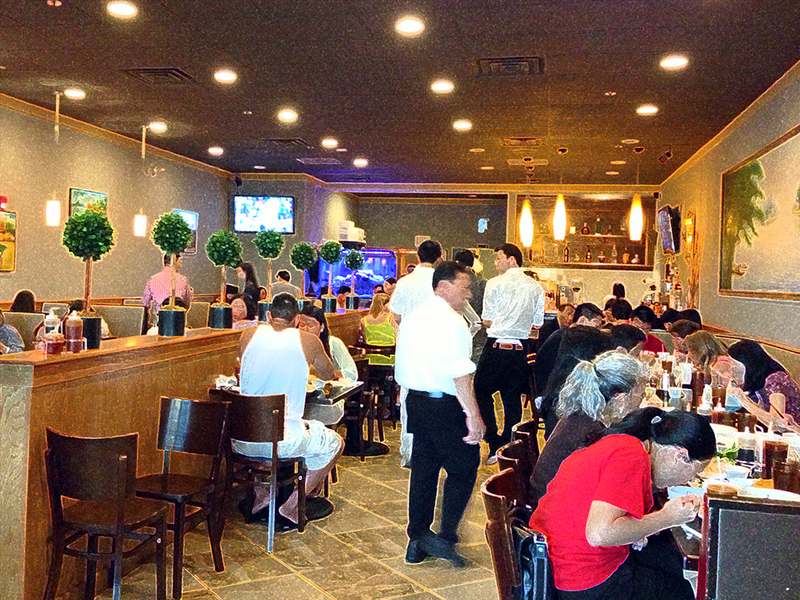 Even when Pho Countryside is busy, there is almost never a wait and the servers are very quick. Depending on what you order, the appetizer can be out in minutes followed very shortly by the entree. If there is such a thing, sometimes the service can be too fast. The wait staff is always polite and respectful, but you have to ask for water because it doesn’t always come when you’re seated. As for the pot of tea at the table, that usually does come right when you’re seated, but every now and then it doesn’t. The beverage service doesn’t really affect the experience for me, but it’s one small inconsistency. The main staples for me when visiting any restaurant that serves pho is to go for a spring roll appetizer and a large bowl of pho. That’s always the true test of any pho restaurant for me. Gỏi cuốn – Vietnamese spring rolls are great whether they are fresh or fried. When I go out with my male friends, we often get the absurdly delicious fried kind, but when I’m with my wife, it’s fresh all the way. I don’t mind what kind of spring roll I get as long as I get one. 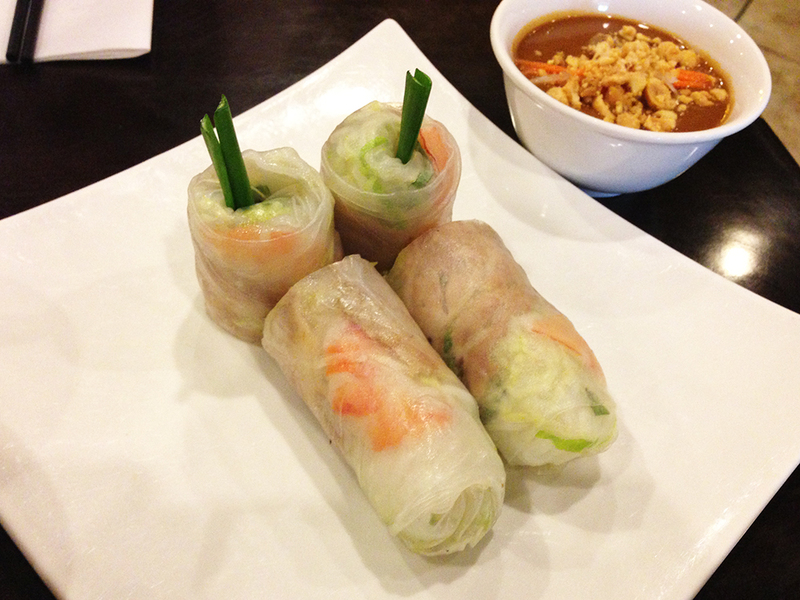 The fresh spring rolls at Pho Countryside are very tasty. They are usually made with shrimp, rice noodles, mint/basil, scallions, and wrapped in rice paper. The results are a refreshing, light, and filling appetizer. A little dip in the sweet peanut sauce and the flavors change completely, but are still delicious. I suggest trying them with the house fish sauce as well for some more variety. Phở Đặc Biệt – Pho is probably my favorite soup in the world. It’s a beef broth flavored with star anise, fresh cilantro, onion, scallions, ginger, maybe some cinnamon(? ), and some other spices that vary from bowl to bowl. The broth should be almost clear or slightly cloudy at most. If the broth is very dark in color and you can’t see through it, then that’s a poor bowl of pho. In the broth sits delicate, yet toothsome thin rice noodles. This particular bowl of Pho came with eye round steak, flank steak, brisket, tendon, and tripe. Those last two ingredients usually throw people for a loop, but I love them and I don’t think they are as strange to eat as how people may envision them in their minds. Nonetheless, you can get a similar bowl of pho without the tendon or tripe. 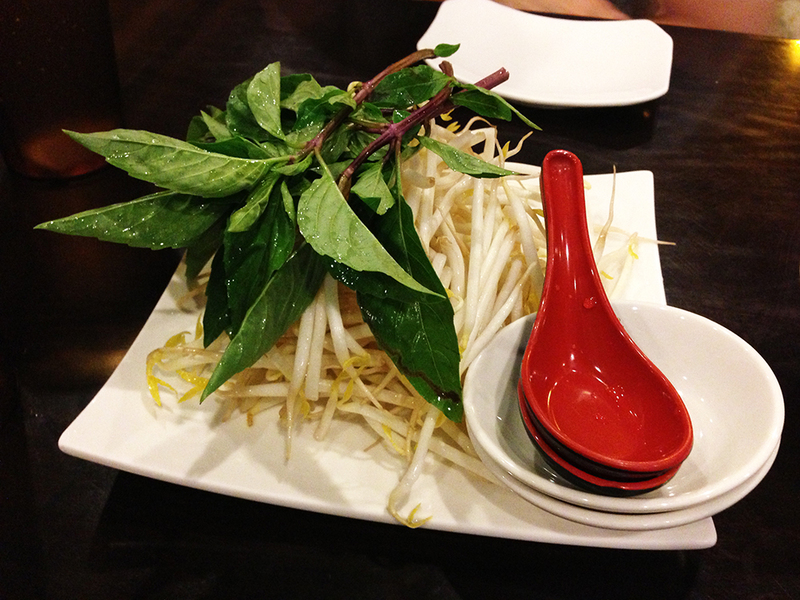 The restaurant provides fresh thai basil, lime slices, and bean sprouts to add in little by little as you eat the pho. You often need to ask if you want some hot peppers as well. I always ask for Thai chilies if they have them. They’re small, but they have quite a kick and they burn in only the best way. Some places provide extra cilantro or culantro, but Pho Countryside doesn’t unless you ask. The pho at Pho Countryside is usually not too dark, which is good, and a little heavy on the star anise, which I don’t mind. The portions are generous and filling and I’ve never had a bad bowl of pho there. 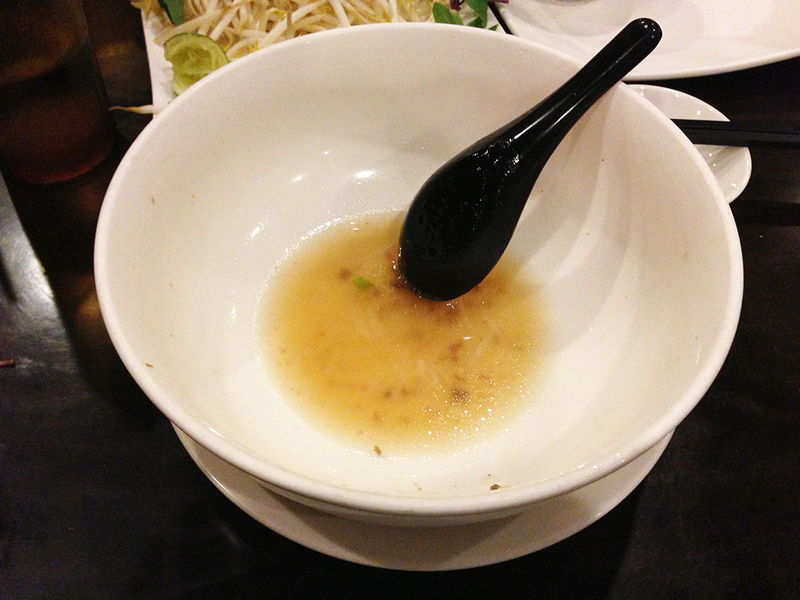 As you can tell from the picture below, I usually finish an entire bowl with only a few remnants as proof I was there. 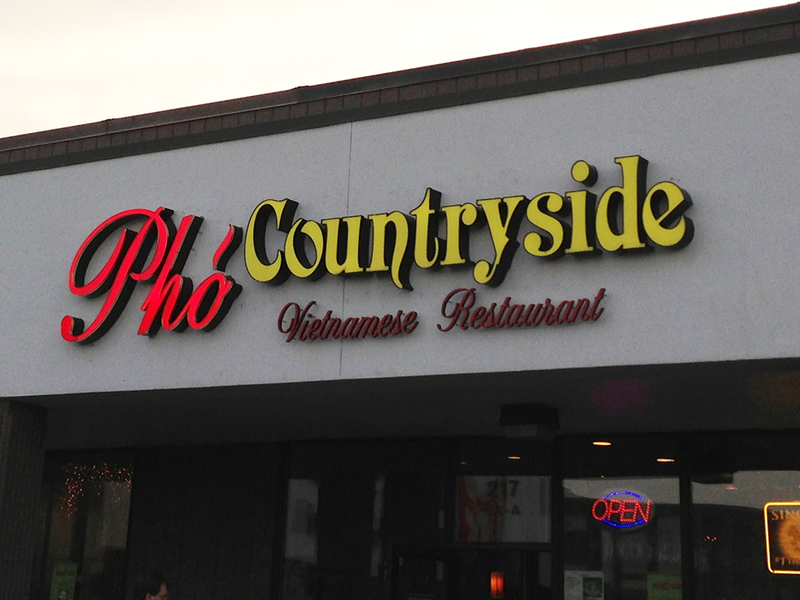 Pho Countryside is great for when you really just want a hassle free bowl of Pho south of Boston. It’s not the best Vietnamese food I’ve ever had, but it is up there as a very solid place that you won’t leave disappointed. It doesn’t hurt that the food is extremely affordable considering the great flavors and quantity. I would recommend Pho Countryside if you want some really good Vietnamese food, but can’t quite make it over to Dorchester or Boston for some reason (i.e. traffic). Check you out, let me find out you’re in Boston..